← Do you have Artistic Friends? 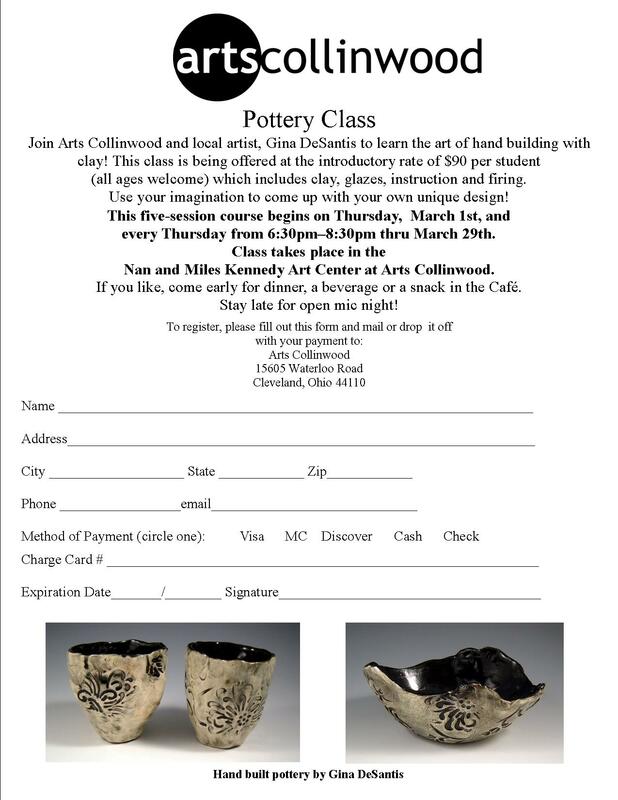 Join Arts Collinwood and local artist, Gina DeSantis to learn the art of hand building with clay! 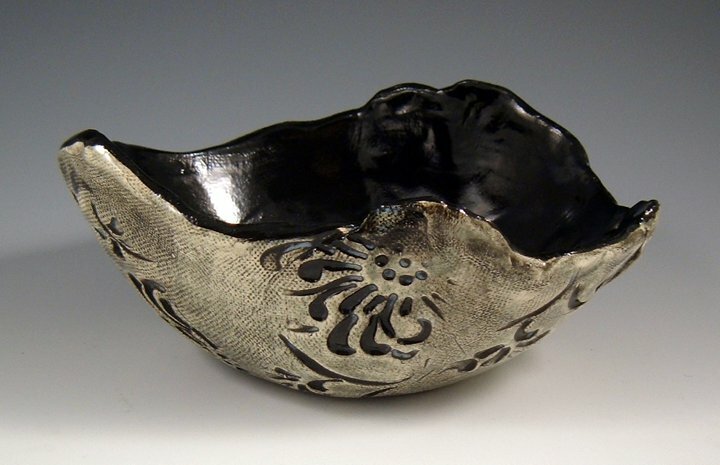 This class is being offered at the introductory rate of $90 per student (all ages welcome) which includes clay, glazes, instruction and firing. Use your imagination to come up with your own unique design! This five-session course begins on Thursday, March 1st, and every Thursday from 6:30pm-8:30pm thru March 29th. Class takes place in the Nan and Miles Kennedy Art Center at Arts Collinwood. (Arts Collinwood Members get a 10% discount on classes so please make sure to mention it when registering). If you like, come early for dinner, a beverage or a snack in the Café. Stay late for open mic night! The Cafe at Arts Collinwood is open from 11am-11pm Thursdays thru Saturdays and for special events! This entry was posted in Art News, cleveland, galleries, ohio and tagged art news, classes, cleveland, collinwood, desantis, exhibit, exhibition, introductory rate, open mic night, own unique design, pottery, session course, workshops. Bookmark the permalink.